HypnosisExpert was formed to offer a unique reference point on comprehensive advice on hypnosis and hypnotherapy. Less stress and more calm is something we all strive to have more of in our busy lives. Being able to effortlessly unwind and relieve stress and pressure is important, and essential, if you want to create balance and harmony in your busy life. HypnosisExpert aims to provide a useful, easily accessible tool to explore the many life-enhancing options currently available in this field of therapy. HypnosisExpert is one of a growing number of personal development sites that highlight the need for, and burgeoning interest in, personal awareness and self-development. By following expert advice and making simple changes our readers are inspired to create a more positive outlook using simple techniques and suggestions. Readers can learn how to improve emotional and physical wellbeing and how hypnotherapy can be used to enhance health. There are also self-hypnosis techniques on offer that can instantly alter mood and reduce stress levels. HypnosisExpert provides an excellent starting point for those seeking information on this interesting and effective therapy. Our articles and features offer a practical and unique resource, and are written by experienced wellbeing and personal development experts. Creative tips, enterprising ideas and interesting suggestions will all help motivate you into creating a more harmonious lifestyle. There is also an opportunity to Ask Our Experts a Question. 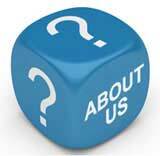 This service can address any specific problem, concern or point of interest a reader may have. HypnosisExpert was founded by John Rowlinson, the founder of PtS. John, through PtS, is involved in a number of ventures including software and property companies. A percentage of revenue from these activities goes towards funding HypnosisExpert and a number of similar sites.